1. 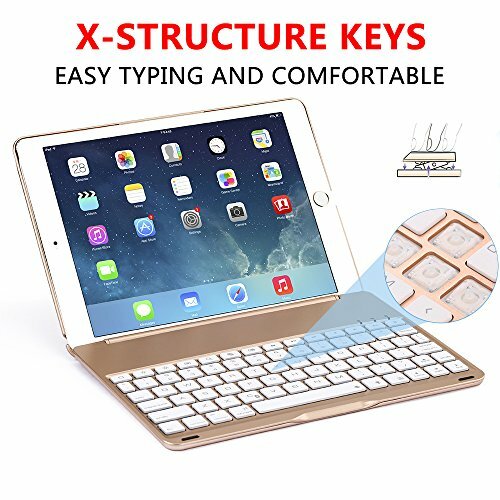 Unlike other similar PLASTIC keyboards, this ipad pro 9.7 smart keyboard is made of ALUMINUM ALLOY and ABS plastic, and with outstanding chips and battery for better performance. 2. Compatibility: ipad pro 9.7 case bluetooth wireless keyboard designed exclusively for Apple iPad Pro 9.7 inch (Release in March 2016). NOT for iPad Pro 12.9 inch (2015 released) and other iPad models. For SAME model please search"B01N5J6232" for iPad Air, "B01N5A5BMB" for iPad Air 2. This iPad pro smart keyboard comes with 45 days monety back and 18 months warranty. Professional friendly customer service provided. 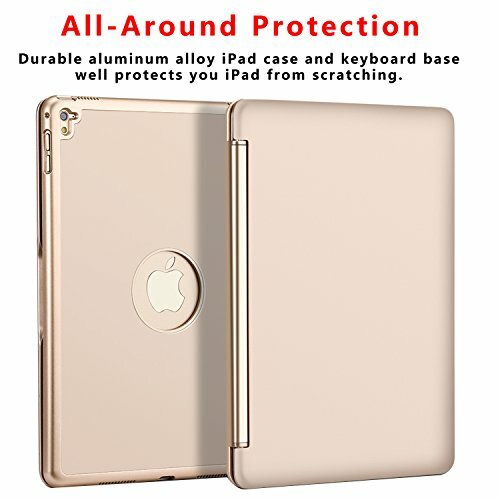 Put your ipad pro 9.7 tablet to the protective case and connect bluetooth, you tablet becomes small Macbook within seconds. 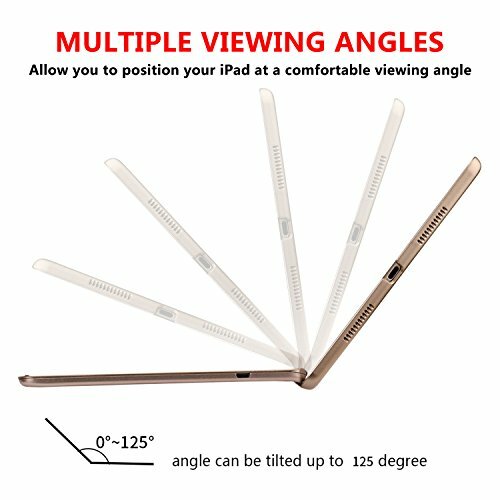 Standing angle can be tilted up to 135 degree to meet you the best visual angle. With Bluetooth 3.0 chip, this ipad pro 9.7 keyboard is 8 times faster than the Bluetooth 2.0. Automatically turn on/off power by simply opening or closing the keyboard, By pressing "Fn+C" simultaneously on the keyboard and connect the bluetooth. 7 light color options (green/red/blue/purple/yellow/white/cyan) with different brightness control, makes the ipad pro 9.7 keyboard keyboard works and looks great in dark, fashionable and attractive. Using ultra-thin design concept, the thinkness of key only 4mm, light for carry. ✔ Compatibility: ipad pro 9.7 keyboard case designed exclusively for Apple iPad Pro 9.7 inch (Release in March 2016). NOT for iPad Pro 12.9 inch (2015 released) and other iPad models. ✔ Smart and Easy Operation: With Bluetooth Broadcom 3.0 chip, this smart ipad pro 9.7 keyboard is 8 times faster than the Bluetooth 2.0. Operating distance can be 10m. 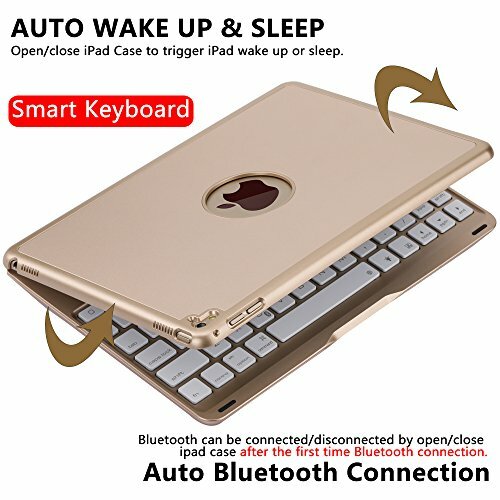 Automatically turn on/off power by simply opening or closing the keyboard, By pressing "Fn+C" simultaneously on the keyboard and connect the bluetooth, then you can start your work immediately. 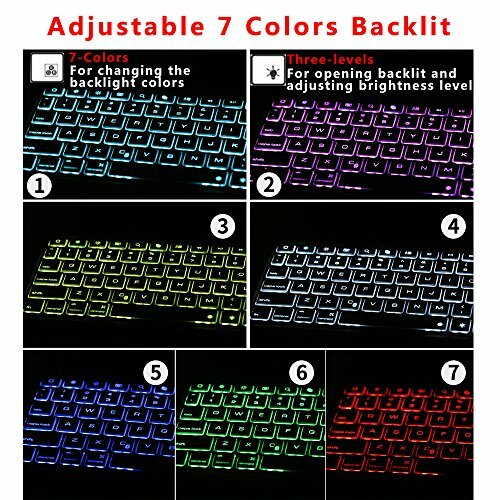 ✔ 7 Colors Backlit ipad Bluetooth Keyboard: 7 light color options (green/red/blue/purple/yellow/white/cyan) with different brightness control, makes the ipad pro 9.7 keyboard case works and looks great in dark, fashionable and attractive. 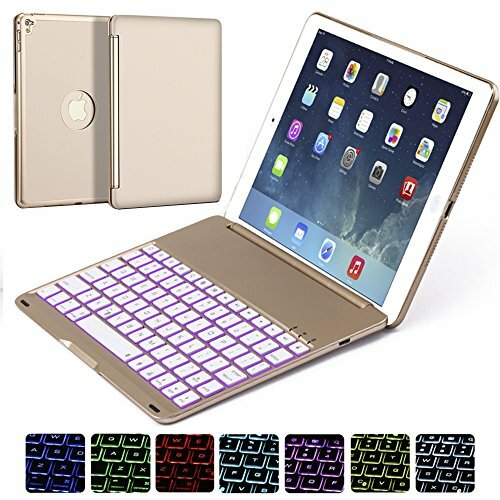 ✔ Super-Slim Lightweight Aluminum Alloy Keyboard: Unlike other similar design plastic keyboard, this ipad pro 9.7 bluetooth keyboard is made of ALUMINUM ALLOY and ABS plastic makes it smooth and luxury. Optimized keys design for comfortable quiet typing experience, the thickness of key is only 4mm, super light for carry. ✔ Lasting Power Supply: Built-in powerful rechargeable lithium polymer battery with charging time 3 hours but standby time can be 330 days. If you have any questions about this product by NOVT, contact us by completing and submitting the form below. If you are looking for a specif part number, please include it with your message.